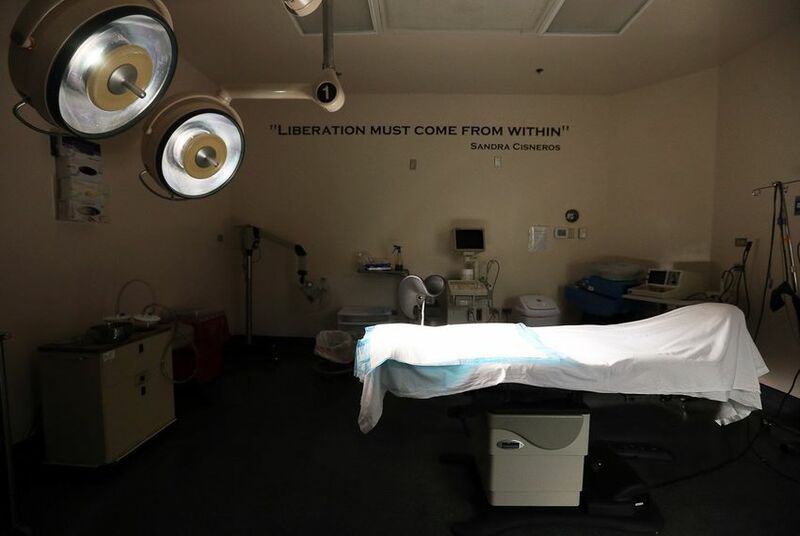 Attorneys for Texas and a women's reproductive rights advocacy group sparred over costs, compliance and public health in federal court on Tuesday, the first day of arguments in a lawsuit on the state's fetal remains burial rule. The U.S. District Court in Austin was nearly packed to capacity for the all-day hearing over whether the Texas Department of State Health Services should be allowed to implement a rule requiring health providers to bury or cremate aborted fetuses. The agency had planned for the rule to take effect Dec. 19, but U.S. District Judge Sam Sparks on Dec. 15 granted a temporary injunction that delays its implementation until he makes a final ruling. Sparks has indicated that his decision could come as soon as Friday. Attorneys for the Center for Reproductive Rights, which sued to stop the rule, called witnesses at Tuesday's hearing who continuously expressed that the rule is "vague," doesn't give enough clarity for medical providers and has no public health benefits. Amy Hagstrom Miller, founder and CEO of Whole Woman's Health, the main plaintiff in the case, said on the stand that the rule was "discriminatory" and "offensive." She said while groups like the Texas Conference of Catholic Bishops have stepped up to take on the cost of cremations and burials, the rule is unclear about who would be responsible for making sure the remains are properly disposed of. She said that vagueness puts providers in a vulnerable position where they could face fines or disciplinary actions by the state if those non-medical groups do something wrong. Also troubling, Miller said, is that it's difficult for abortion providers to keep a steady roster of medical waste vendors due to alleged harassment from anti-abortion groups. "It's confusing for most of us to figure what a clear path would be to compliance," Miller said. "I find words like 'interment' and 'incineration' and 'cremation' and 'funeral' are really confused and used intermittently in a way that is difficult for us to understand and difficult for the public to understand." Reproductive rights groups spent the past summer telling Department of State Health Services officials that the rule would likely be an emotional burden and a financial problem for women who had an abortion. A small victory for the groups was an exception added in for women who miscarry or have abortions at home. Meanwhile, anti-abortion groups said the rule would give dignity to unborn fetuses. Jennifer Sims, deputy commissioner for the state agency, said in court that while she is unaware of any public health benefits of treating fetal tissue differently than other medical waste, the rules were meant to remove outdated terms and methods for providers. That includes grinding up fetuses and disposing of them in sanitary landfills. "When things are more clear, public health is ensured," Sims said. She also said the costs for providers would be nominal if the new rules go into effect. Texas Assistant Attorney General John Langley argued in court that the rule does not "regulate women and hold women accountable for anything that they choose or don't choose." The hearing is slated to continue through Wednesday.